The day after we arrived in London 2012 was Christmas Eve. My sister, Jenny, traveled with Lua and I and stayed with us for our first 10 days in England. 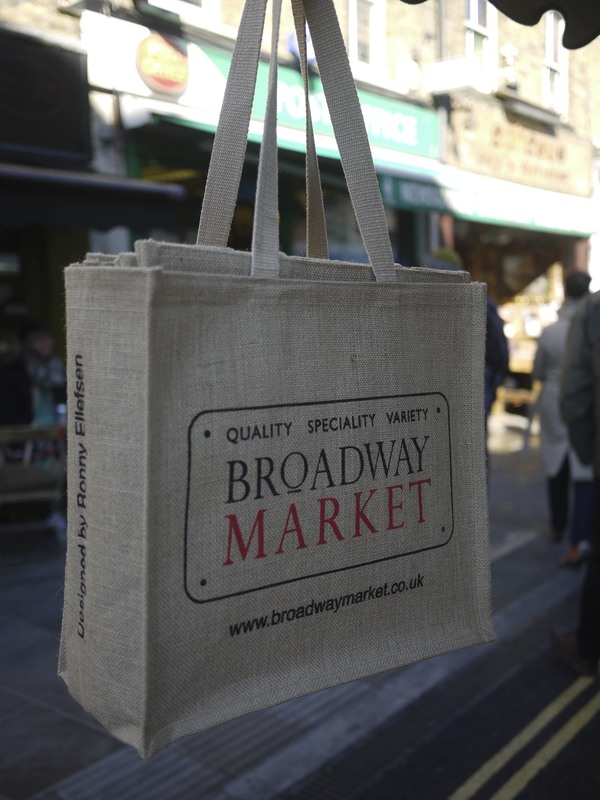 We were all thrilled to walk out of our flat to find Broadway Market. When we first arrived, our flat in Clapham was not yet available, so in the meantime we rented a very sweet flat in East London’s Hackney neighborhood. One of my favorite qualities of London is the diversity amongst its 33 boroughs, each with its own government and member of parliament, and each with a distinctive and unique energy and purpose. 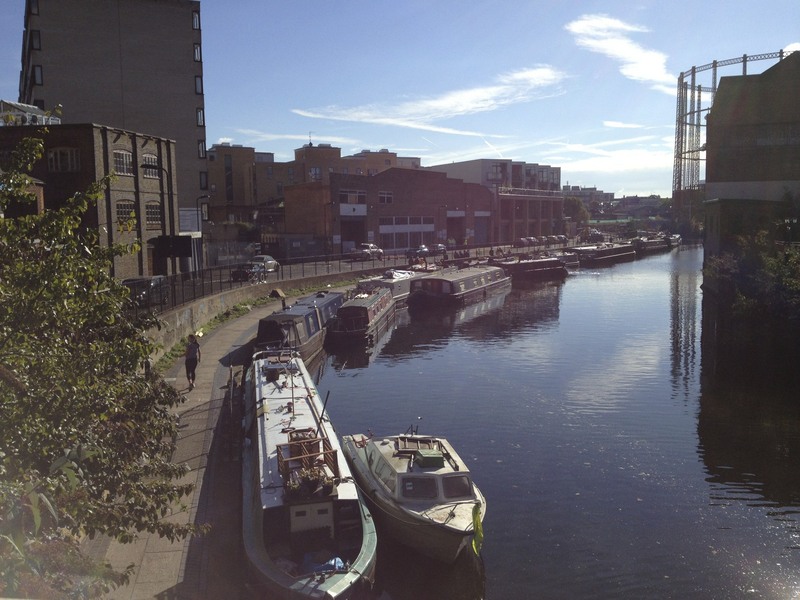 The flat we rented in East London was just a block from Regents Canal where houseboats docked and people enjoy a lovely walking and biking path. While passing the docked houseboats, you also walk under many small and narrow brick bridges. 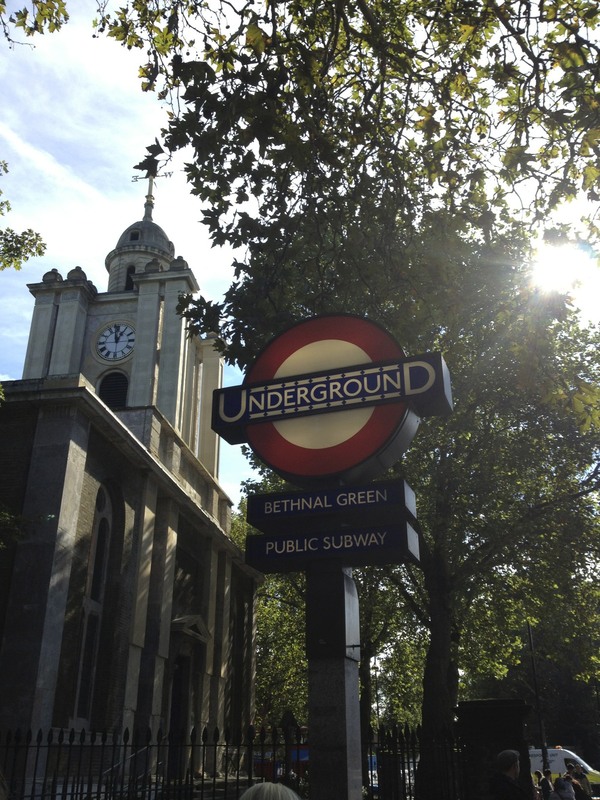 East London thrives on creativity and uniqueness and is almost void from chains – most of the businesses are original stores and restaurants. It feels bohemian and is diverse with cultures. And so, it was Christmas Eve, we were still fighting off jet lag and our eyes were lit with excitement and joy as we walked down the narrow street through the bustling market. Our first greeting was the olive stand with wooden barrels holding over 15 olive blends and spreads. 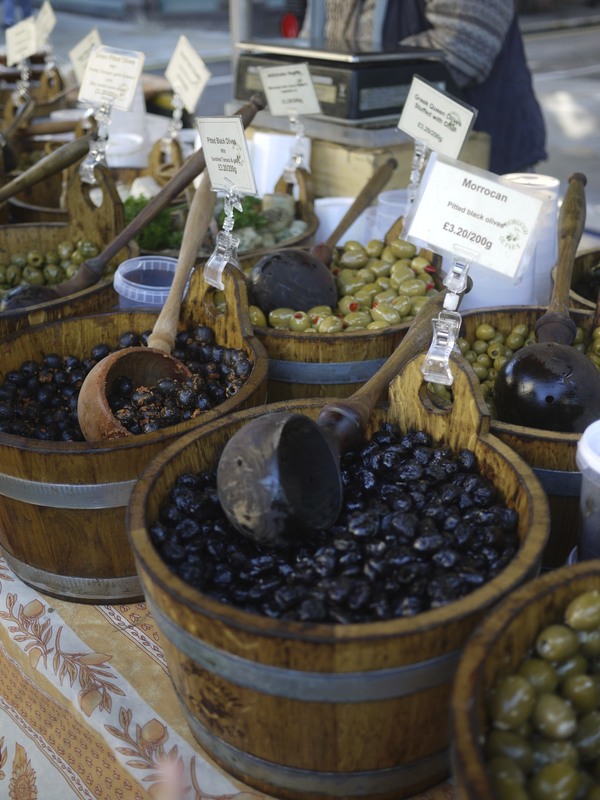 Besides chocolate, olives are one of Lua’s favorite foods, so a container of olives entertained her for the entire market outing. We did not get very far, as our eyes and stomachs were caught by the bread stand. Two long folding tables held a variety of artisan, handmade breads.We enjoyed the mixed seed bread and the rustic white bread. Every morning we toasted slices of these fresh breads, added butter which was melting as we added our fresh strawberry preserves that we also bought at the market. Remember, this was just weeks before I said good-bye to the gluten and dairy. But it was delicious. That first day we purchased foods for our Christmas Day feast. We roasted a chicken, a beautiful organic, free-range fresh chicken from the market that was the juiciest roast chicken that I had ever made. We also made a cauliflower gratin and a green salad and for dessert we had chocolate chip cookies from Ben’s Cookies. 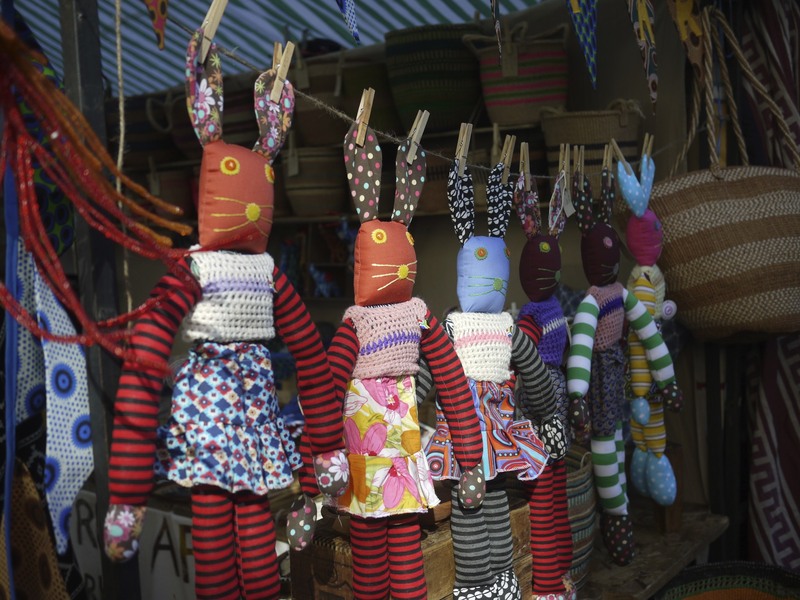 Everything was so exciting and new, and this was how we came to know, Broadway Market. 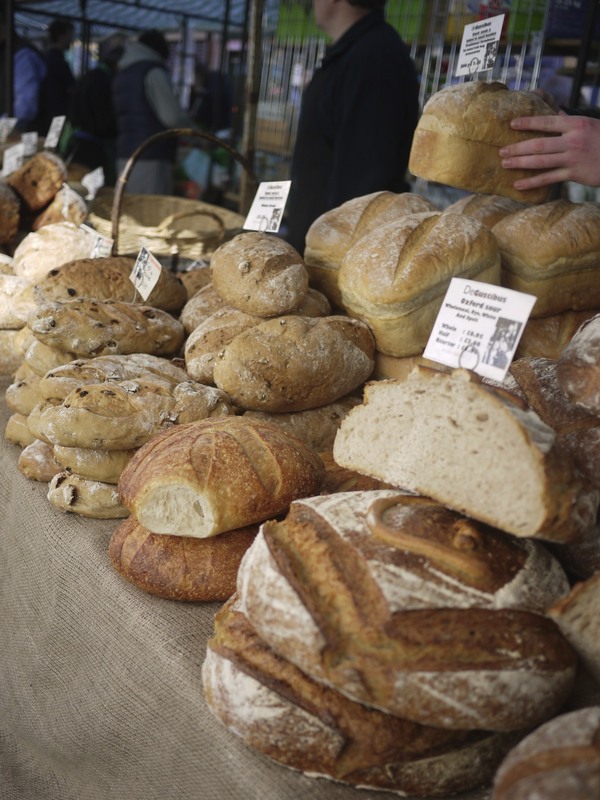 Even after we moved to Clapham, we still return to Broadway Market at least once a month to enjoy the food and atmosphere. 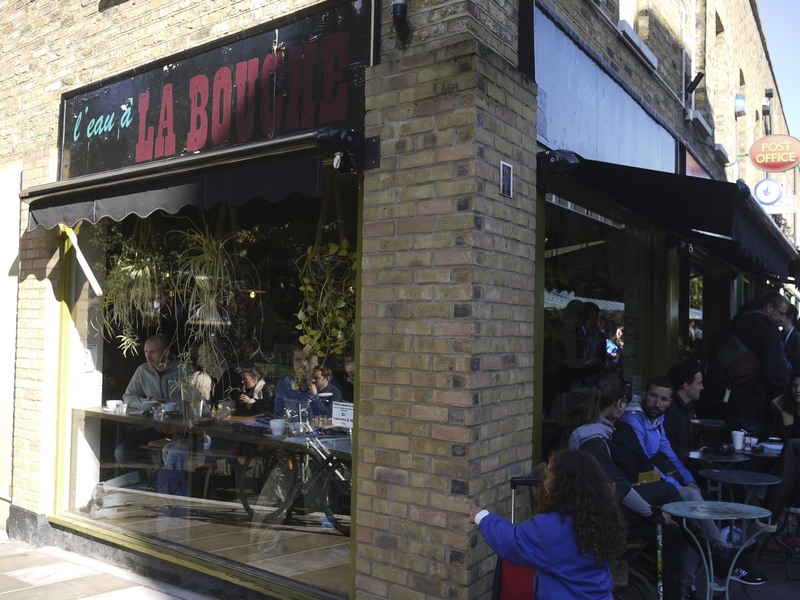 When we arrive we generally stop at Cafe La Bouche, which was our first London coffee shop experience. Gabe orders a Flat White and we are on our way. We walk through the market and browse at the new stalls. 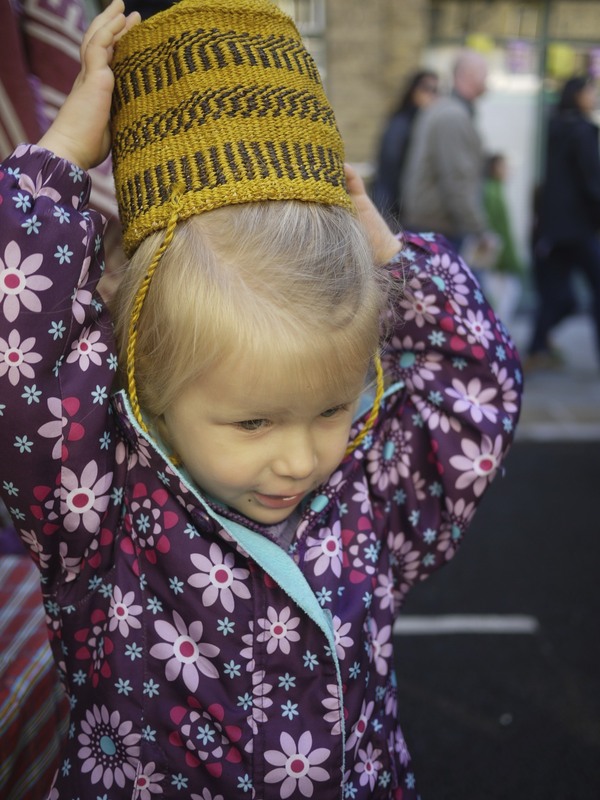 This last time we went we found handmade baskets and other items from Kenya. We got Lua his basket and I picked out this very tiny wooden bowl with spoon as a salt server. 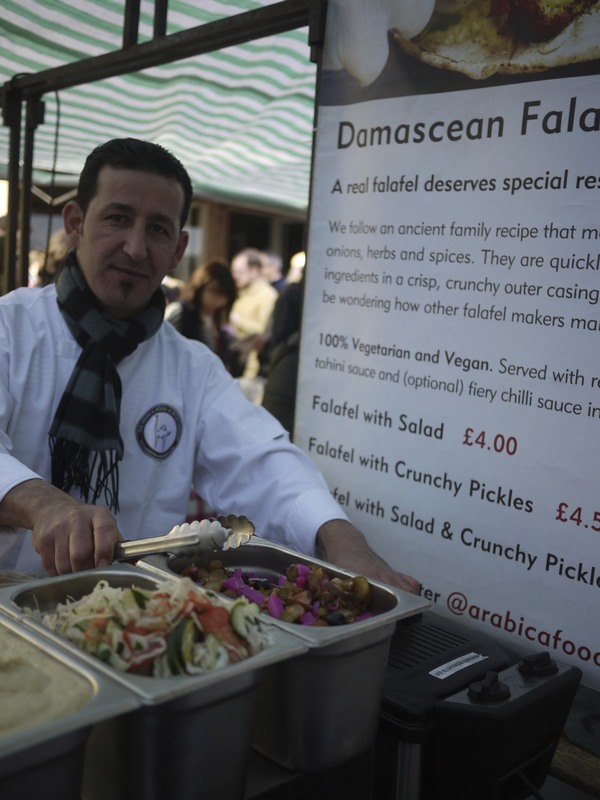 Then we each get a bite to eat, I can’t seem to ever pass up the best falafel at Damascean Falafel. 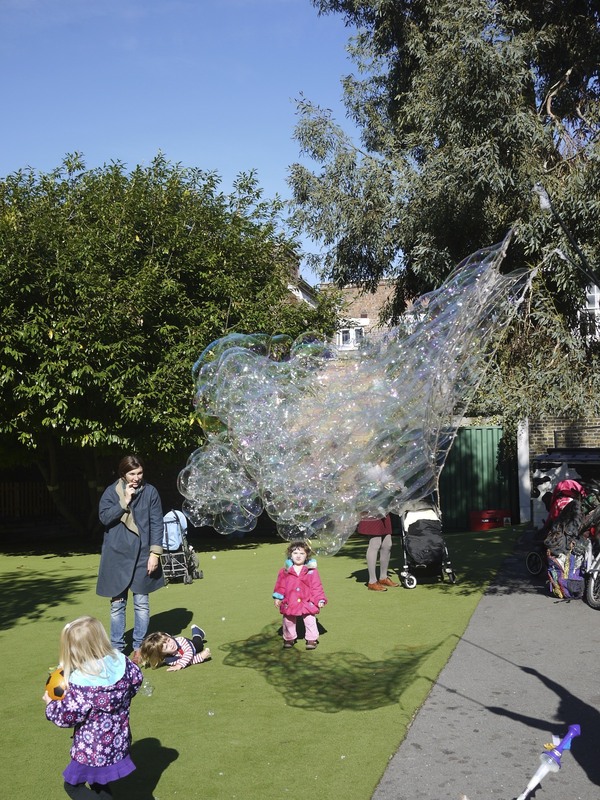 Then we make our way to the secret market in the market just around the corner near London Fields where there is a wooden playground set for Lua to play on and a Bubble Man who has cleverly fashioned ropes together to make huge bubbles. Many children gather here to each take a turn at popping them. This is where Gabe generally gets his lunch, at Barbara’s Brasilian Stand, where he orders the traditional Brasilian dish, Feijoada. 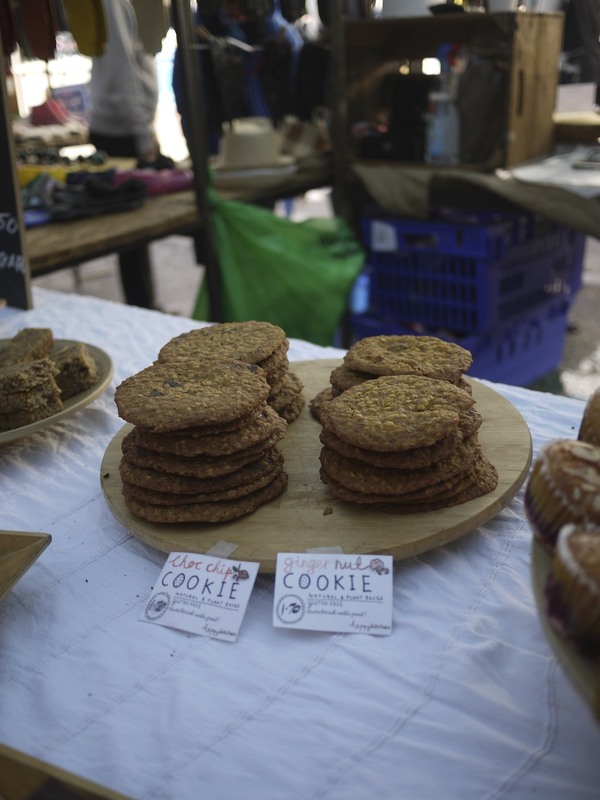 On our way back through the market we make sure to stop at the gluten, dairy AND (refined) sugar-free bakery stand. It is incredible, the delicacies that they make. Lua always gets a double-chocolate brownie and I enjoy the ginger oat cookie. And that is our Saturday Morning at Broadway Market. If you come to London, it is worth a visit! Mm, Broadway Market is the best.